Bring sea spa resort into your bathroom; immerse yourself in pleasure head to toe! where you can relax and enjoy luxurious care… Forget about everything – it’s time to look after yourself! Grapefruit Body Salt makes your skin velvety soft, enticing to touch time and again. leaving a sensation of maximum moisturizing and softness. Grapefruit Body Salt is 70% sea salt. Its tiny crystals gently remove dead cells and stimulate regeneration process. 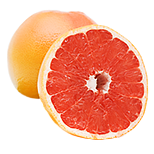 Grapefruit extract ingredient improves skin tightness, makes it softer and smoother. Invigorating, poignant aroma of juicy grapefruit will charge you with vitality and boost your energy! Enjoy smooth skin wherever you are – put the compact Salt package in your bag, take it to a trip. No reason to delay the fragrant spa pleasure! Evenly spread on wet body skin. Rinse well with water. 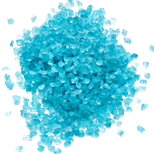 Sea salt cleans the skin, nourishes it with required microelements, activates metabolism, increases the tone and elasticity of the skin, and makes it smoother and more velvety. Citrus grandis extract nourishes the skin, leaving it smooth and supple.